After many troubles Ae Dil Hai Mushkil finally released this weekend and we’re joined by Anisha Jhaveri (@Jhavanis) writer for Indiewire, to talk about Karan Johar’s new movie starring the all star cast of Ranbir Kapoor, Anushka Sharma, Fawad Khan and Aishwarya Rai Bachchan. Is Ranbir Kapoor’s shtick getting old? Is Anushka Sharma a new version of Geet from Jab We Met? Was Aishwarya’s role over sold in the promos? 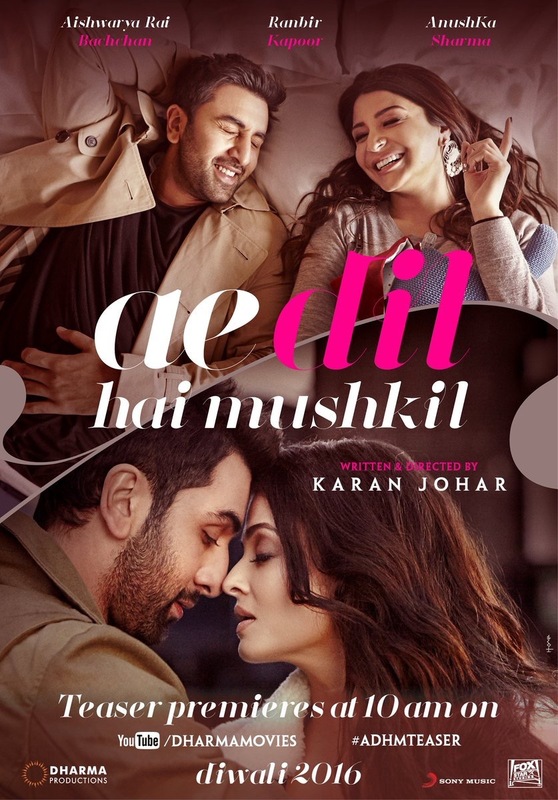 Anisha’s review of Ae Dil Hai Mushkil can be found on Indiewire or you can follow her on twitter. We would love it if you can rate or write us a small review on iTunes! Just click here.